NEW YORK STATE SITEPOWER is your one stop shop for repairs and upgrades. 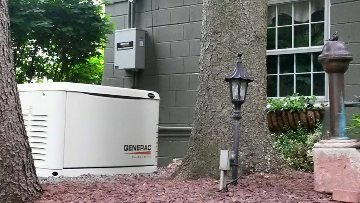 The typical lifespan of a residential generator is 20 years, give or take depending on how you treat it throughout its life. Well maintained generators can last longer. Even so, with technology advancing each year, generators become more powerful and boast a quieter operation, therefore some customers choose to upgrade their generators in favor of a newer model. In almost all cases, we can repair your generator and get it back in service quickly. However, sometimes it may be more cost effective to replace a generator instead of repairing it. When it comes to this situation, we'll offer you both a "repair" and a "replace" option, AND give you our recommendations on which route is better based on your individual situation.